Gosling, John & Craig, Dennis. 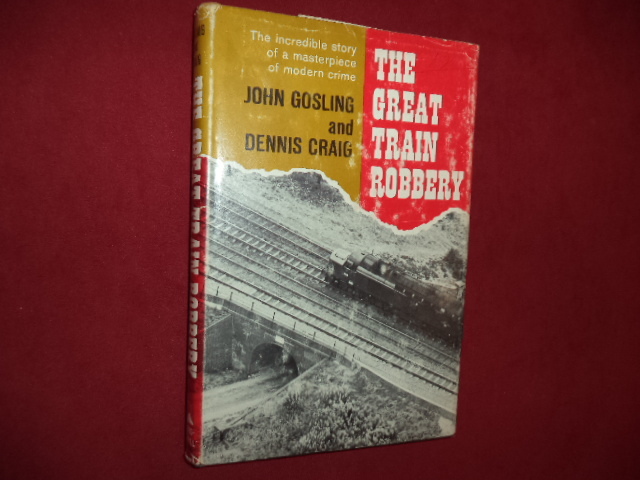 The Great Train Robbery. The Incredible Story of a Masterpiece of Modern Crime. Indianapolis. The Bobbs-Merrill Company. 1965. 178 pps. Octavo. Hardcover. Fine copy in fine dust jacket (in mylar). Gosling, John & Craig, Dennis. The Great Train Robbery. The Incredible Story of a Masterpiece of Modern Crime. Photo available. Indianapolis. The Bobbs-Merrill Company. 1965. 178 pps. Octavo. Hardcover. Illustrated. Fine copy in near fine (very light shelf wear) dust jacket (in mylar). Gottwaldt, Alfred B. Geschichte der Deutschen Einheits-Lokomotiven. Die Dampflokomotiven der Reichsbahn und Ihre Konstrukteure. Stuttgart. Franchk'sche Verlagshandlung. nd. 174 pps. 4to. Hardcover. First edition. Illustrated. Fine copy in near fine dust jacket (in mylar). Graham, Frank D. Audel's Plumbers and Steam Fitters Guide. 4 Volumes. A Practical Illustrated Trade Assistant and Ready Reference for Master Plumbers, Journeyman and Apprentices, Steam Fitters, Gas Fitters and Helpers... Photo available. New York. Theo. Audel & Co. 1949. Unpaginated. Octavo. Simulated leather. Four volumes. Important reference work. Fine set. Grant, John. Great American Rail Journeys. The Companion to the Public Television Programs. Photo available. Guilford. Globe Pequot Press. 2000. 4to. Soft cover. First edition. Illustrated in black, white and color. Fine copy. Gray, Walter. 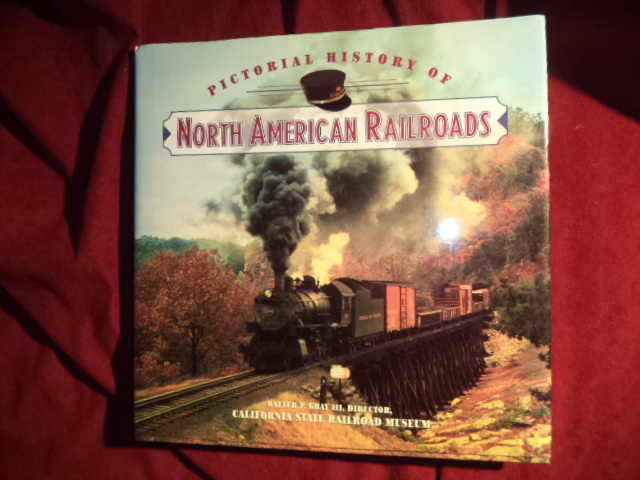 Pictorial History of North American Railroads. Photo available. Lincolnwood. Publications. 1996. 312 pps. 4to. Hardcover. First edition. Full number line. Illustrated in black, white and color. Important reference work. Fine copy in fine dust jacket (in mylar). Greenberg, Bruce C. Greenberg's Price Guide to Lionel Trains. O and O-27 Trains, 1945 - 1979. Sykesville. Greenberg Pub. 1979. 246 pps. 4to. Soft cover. Second edition. Illustrated in color and black & white. Scarce. Fine copy. Greenberg, Bruce. Greenberg's Repair and Operating Manual for Lionel Trains. 1945-1969. Photo available. Ellicott City. Greenberg Pub. 1978. 736 pps. Octavo. Soft cover. First edition. Illustrated. Important reference work. Near fine copy (very light shelf wear). Greenberg, Bruce. Model Railroading. A Family Guide. Photo available. Englewood Cliffs. Prentice-Hall. 1979. 4to. Hard cover. First edition. Illustrated in black, white and color. Fine copy. Griswold, P.R. Colorado's Loneliest Railroad. The San Luis Southern Photo available. Boulder. Pruett. 1980. 190 pps. 4to. Hardcover. First edition. Illustrated. Fine copy in near fine dust jacket (in mylar). Griswold, Wesley. A Work of Giants. Building the First Transcontinental Railroad. New York. McGraw Hill. 1962. 367 pps. Octavo. Hardcover. First edition. Illustrated. Fine copy in very good (light edge wear) dust jacket (in mylar). Griswold, Wesley. A Work of Giants. Building the First Transcontinental Railroad. New York. McGraw Hill. 1962. 367 pps. Octavo. Hardcover. First edition. Illustrated. Fine copy in near fine (very light shelf wear) dust jacket (in mylar). Gruber, Bill (ed). 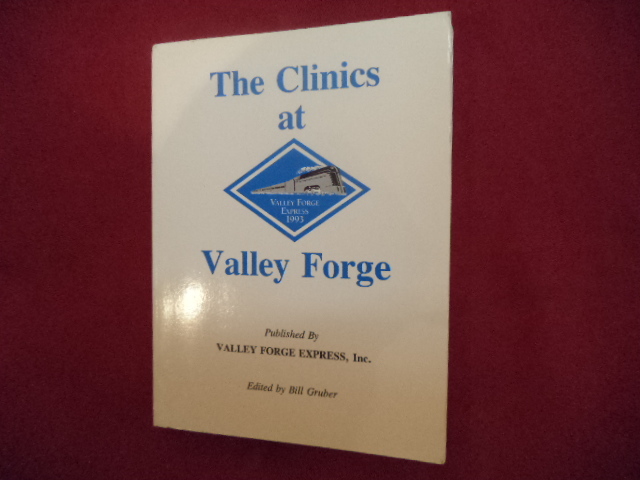 The Clinics at Valley Forge. Limited edition. Photo available. Valley Forge. Valley Forge Express. 1993. 298 pps. Octavo. Soft cover. First edition. Illustrated in black, white and color. Important reference work. Limited edition of 2,000 copies, number 1969. Fine copy. Gruber, John. Classic Steam. Timeless Photographs of North American Steam Railroading. Photo available. New York. Fall River Press. 2009. Folio. Hard cover. First edition. Illustrated in black, white and color. Fine copy in fine dust jacket (in mylar). Gudgin, D.S.E. Vulcan Foundry Locomotives. 1832-1956. London. Warne. 1976. 96 pps. Octavo. Hardcover. First edition. Illustrated. Fine copy in fine dust jacket (in mylar). Hagan, Duncan. Indian Summer of Steam. London. Ian Allan Ltd. 1980. Octavo. Hardcover. First edition. Fine copy in fine dust jacket (in mylar). Halberstadt, Hans. Classic Trains. New York. Metrobooks. 2001. 144 pps. 4to. Hardcover. First edition. Illustrated in color and black & white. Fine copy in near fine dust jacket (in mylar). Halberstadt, Hans. Great American Train Stations. Classic Terminals and Depots. New York. Barnes & Noble. 1997. 192 pps. 4to. Hardcover. First edition. Illustrated in color and black & white. Fine copy in fine dust jacket (mylar). Halberstadt, Hans. Great American Train Stations. Classic Terminals and Depots. Photo available. New York. Barnes & Noble. 1997. 192 pps. 4to. Hardcover. First edition. Illustrated in color and black & white. Fine copy in fine dust jacket (mylar). Halberstadt, Hans. The American Train Depot & Roundhouse. Osceola. Motorbooks. 1995. 4to. Hard cover. First edition. Illustrated in black, white and color. Fine copy in fine dust jacket (in mylar). Hall, Charles Gilbert. Through by Rail. New York. The Macmillan Company. 1938. 152 pps. Octavo. Hard cover. First edition. Illustrated. Fine (owner name on end paper) copy. Hamilton, David. 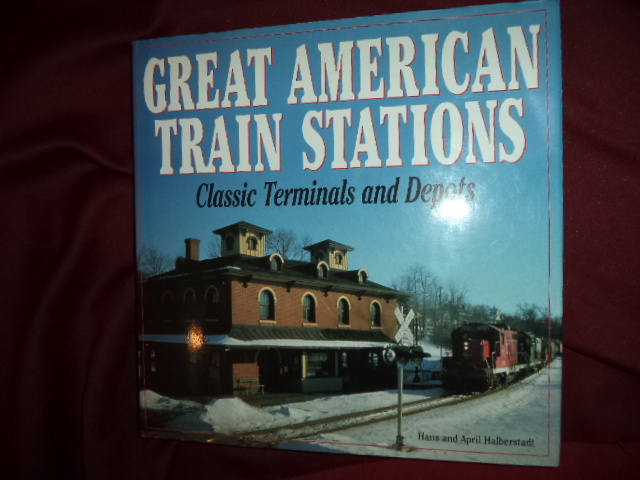 Pictorial History of Trains. Secaucus. Chartwell. 1977. 192 pps. 4to. Hardcover. First edition. Illustrated in color and black & white. Fine copy.